“Something funny happened after I wrote my article on the new generation of Montreal bartenders last summer: booze companies figured I was now delving into the world of hard alcohol. Samples started arriving, and I soon had more hard alcohol than I knew what to do with. I do love Scotch and eau-de-vie like grappa, but for the rest, I was at a bit of a loss about what to do with all these bottles. 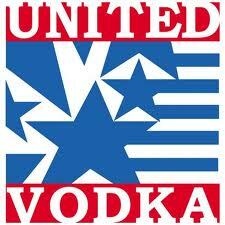 But true vodka lovers have a preference. When I worked the restaurant floor, patrons would emphatically demand their brand. So is there really a difference between them? It was time to do a taste test, so I gathered my tasting panel to see if there really is a difference between vodkas, and whether or not an expensive vodka is better than a cheaper one. So what are the main differences in the production of vodka? The first is the starch that is used as the primary ingredient to make the initial mash – a mushy mix of water and whatever grain/starch is used. The vast majority of vodkas are made with barley or rye, while some, like Chopin, are made with potatoes.